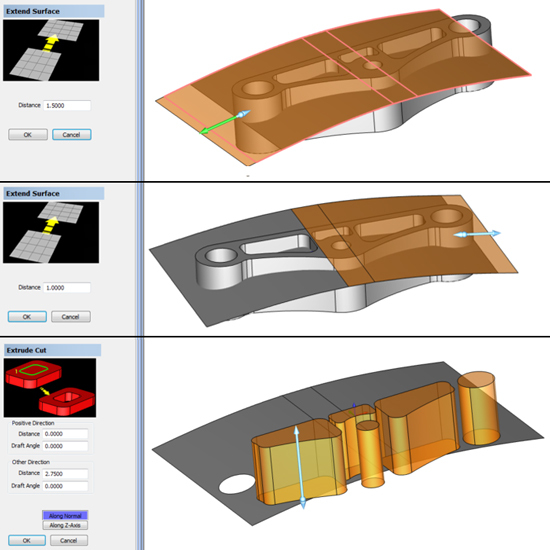 The BobCAD-CAM CAD design software will have you creating and editing part models easier and more efficiently than ever…Try it for FREE today! 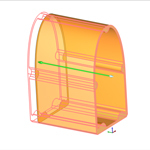 Utilize over 100 easy to navigate geometry tools to create and edit sophisticated part models quickly and efficiently. 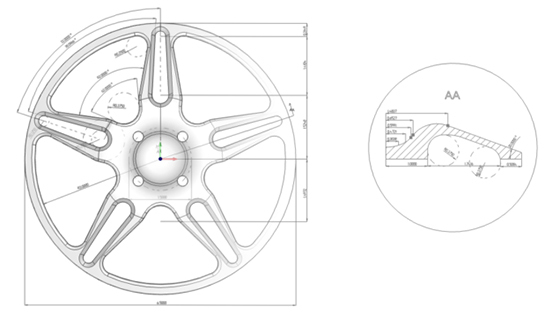 A wide range of powerful wireframe, surface, and solid model design tools deliver the performance you need to generate everything from simple flat patterns to complex 3D models with intricate details. 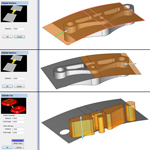 The BobCAD-CAM design software is easy enough for the new and occasional user, yet powerful enough to meet the needs of the advanced designer. 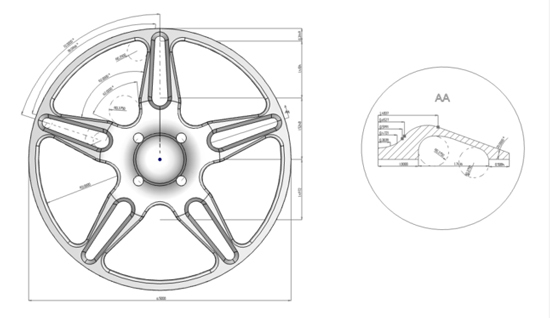 The CAD Design Tree acts as a history of your model creation and allows you to go back to any step in your process to make modifications to your design. CAD allows you to define and organize groups of geometry using layers that can be easily turned on and off to give you enhanced design and viewing control of your model. 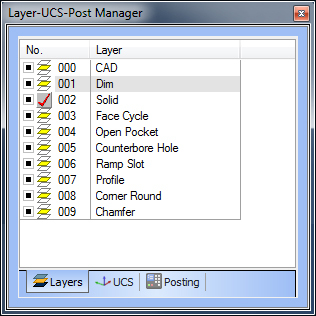 The Select By Layer functionality offers a convenient means of selecting sections of your geometry quickly and efficiently. 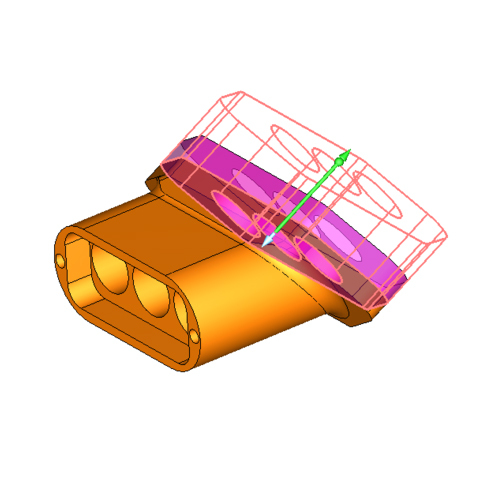 Whether you designed or imported a client’s file, BobCAD-CAM makes it easy to measure geometry, create part prints, and generate inspection reports so you can easily understand and communicate part geometry. 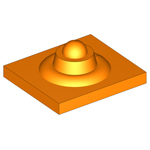 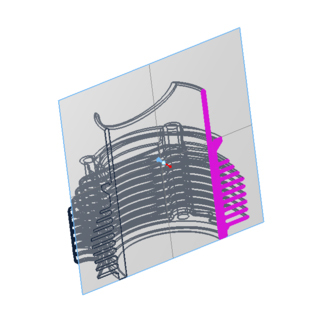 The Extract Edges feature allows you to create wireframe geometry from the edges of your surfaces or solid models. 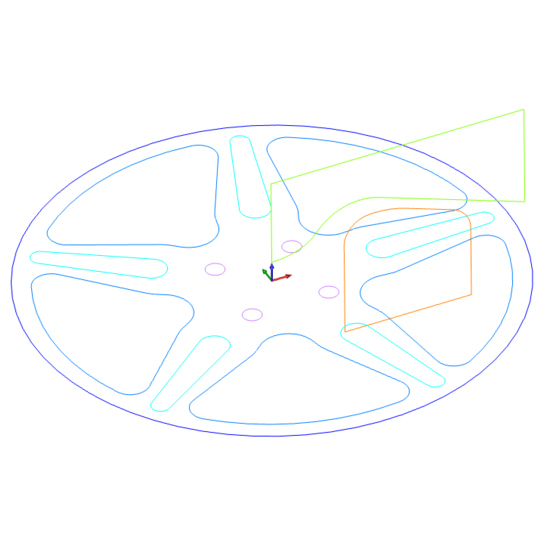 Once you have your wireframe, you can use the Project to Z Plane feature to flatten the wireframe geometry to a user-defined location on the Z plane. Cross Section Viewing allows you to inspect the internal details of your solid model as if it were cut straight across any plane. 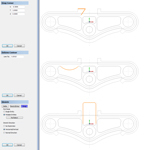 This powerful viewing feature also gives you the ability to generate wireframe geometry of the cross section where the plane intersects with the part. 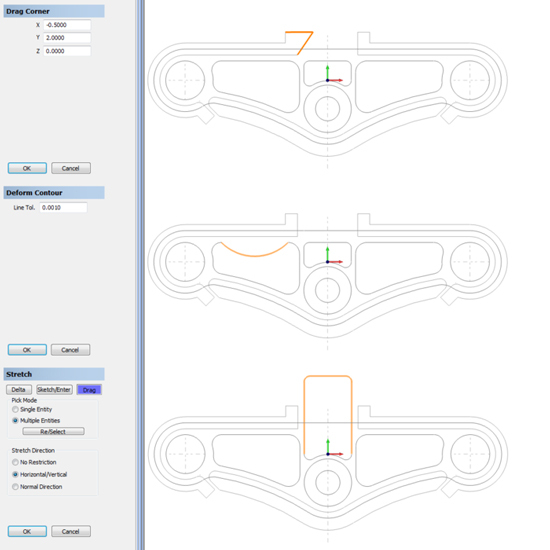 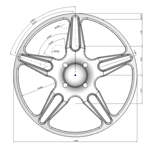 Dynamic drawing offers the control and flexibility needed to easily create your part geometry. 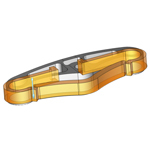 This powerful feature gives you the ability to push and pull surfaces and solid model geometry to quickly adjust part dimensions. 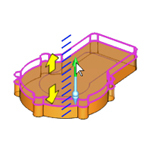 It also allows you to easily move and rotate your parts around the workspace, which helps to speed up the design process. 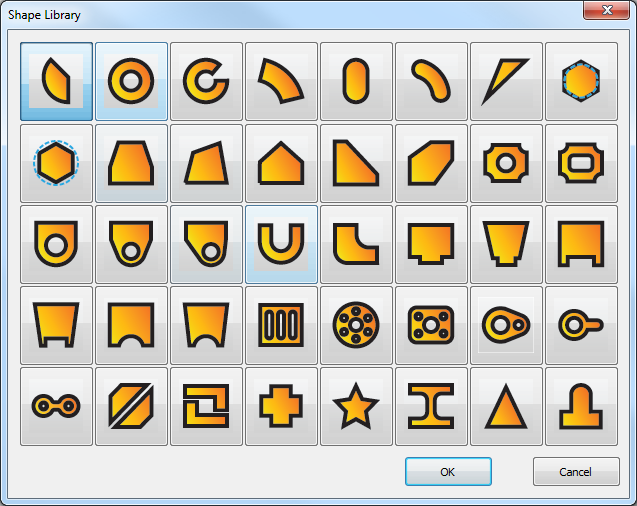 All dynamic drawing functions include a snap increment function, which acts as a uniform grid in the workspace. 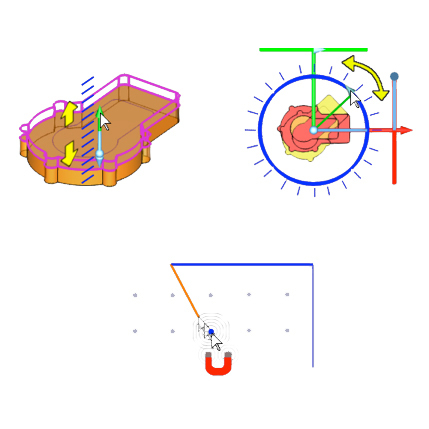 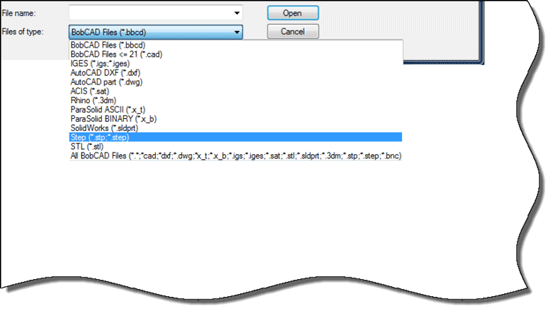 This allows you to define snap increments based on distances or angles for rotation functions. 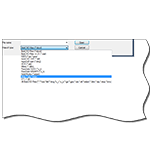 This feature creates a whole new level of efficiency for dynamic drawing by greatly reducing the number of clicks and data entry modifications. 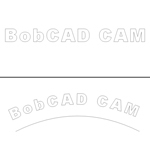 BobCAD-CAM offers a wide variety of easy to use 2D geometry tools such as Points, Lines, Arcs, Splines, Offsets, and Parallel Lines to sketch your parts. 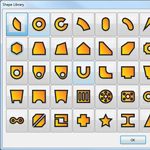 You’ll also have access to commonly used wireframe shapes such as Rectangles, Ellipses, Gears, Cams, Sprockets, and Bolt Hole Patterns. 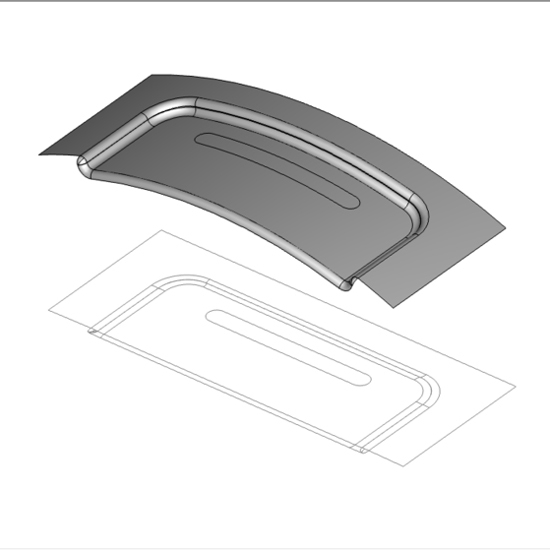 The CAD design software provides 40 preprogrammed commonly used fabrication shapes that can be easily modified to fit the specific needs of the design at hand. 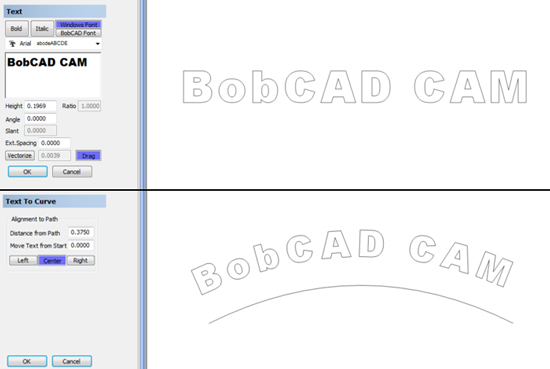 Easily add text to your drawings with tools like Text Along A Curve, Extrude Text, and Project To Curve for 3D surfaces. 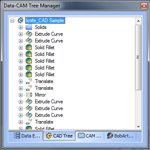 The software allows you to work with standard Windows® fonts & open fonts or select from a library of BobCAD-CAM centerline fonts. 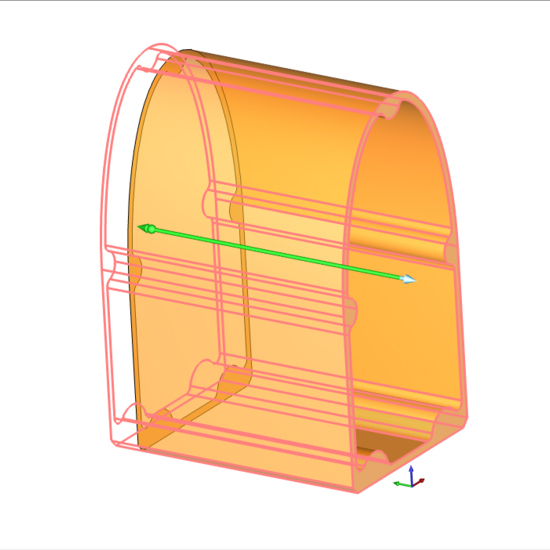 BobCAD-CAM provides the tools you need to easily create your solid models using primitive shapes like Sphere, Cube, Cone, Cylinder, Torus, and Fillet. 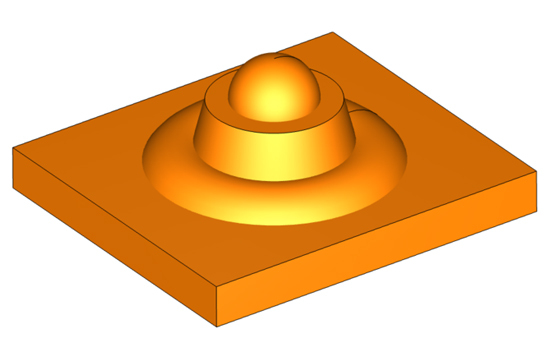 CAD delivers robust solid model editing tools like Extrude Boss, Extrude Cut, Split, Shell, Booleans, and more so you easily can manipulate your models for fast and efficient 3D part creation. 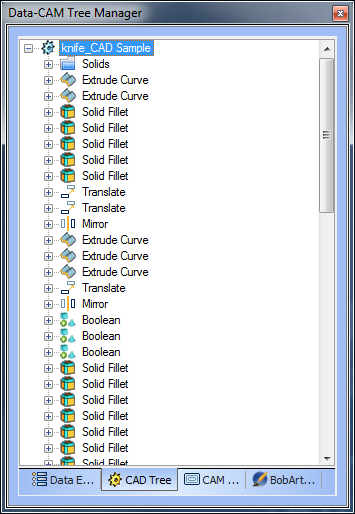 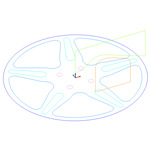 There are 15 intuitive surface creation tools within BobCAD-CAM for 3D modeling including Rectangular Plane, Circular Plane, Planar, Extrude Curve, Extrude Surface, Revolve, Sweep, Cross Section, Skin, Offset, 3 Edge, 4 Edge, Multisided Patch, Swung, and Ruled. 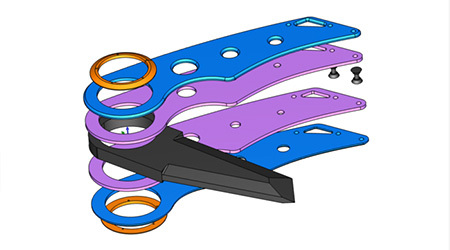 CAD allows you to easily add, subtract, and stitch surface geometry with tools like Fillet, Extend, Intersection Curves, Untrim Surface, and Break Surface for fast model modifications and repairs.